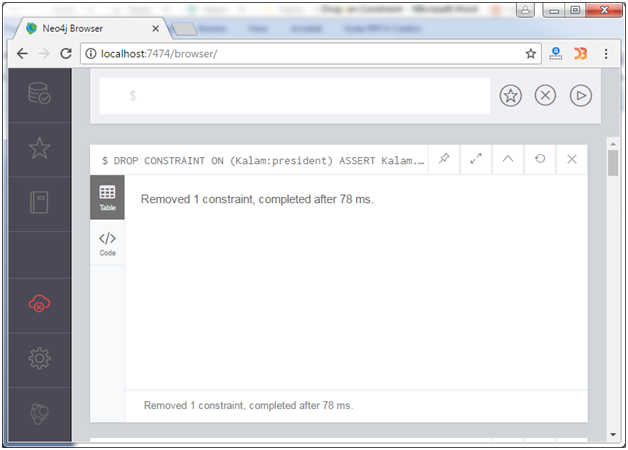 DROP CONSTRAINT statement is used to drop or remove a constraint from the database as well as its associated index. The constraint is removed successfully. 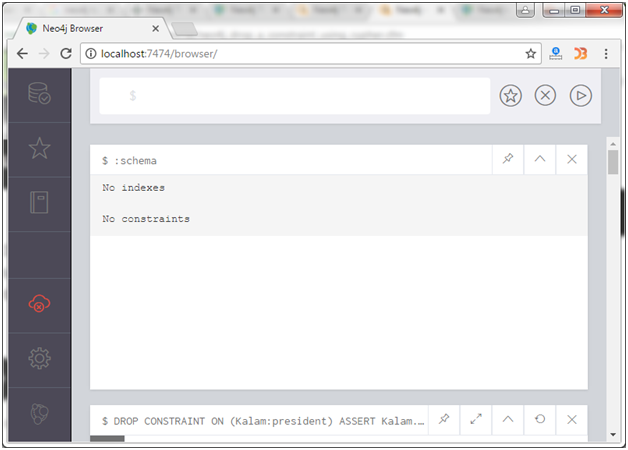 :schema statement is used to verify that the applicable constraint and its associated index has been removed from the schema.